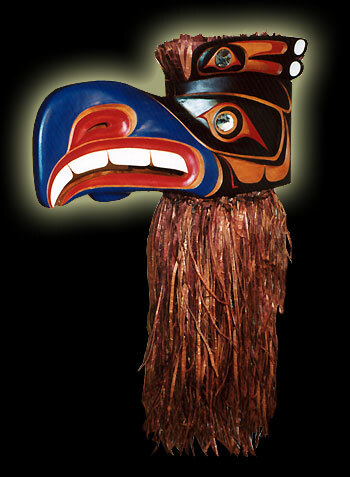 Kulus is the younger brother of the Thunderbird, whom he resembles. Kulus is smaller than his brother, yet is also very strong. His immaturity is portrayed by his blue beak. Although he is supernatural, Kulus does not have supernatural, curly appendages on his head. Kulus has bright white, downy feathers and easily becomes overheated. He is often shown with wings outstretched like his brother to emphasize his strength and power. Kulus, as the younger brother of the Thunderbird has a lot to prove. He is noted for carrying heavier loads than his brother, and has been known to help humans raise their heavy big-house beams into position. Length - 25" I Width - 12" I Depth - 13"